Blackstar HT Amps - Andertons Music Co.
Versatile valve amps for avery application - one of Blackstar's most popular ranges! One of Blackstar’s biggest successes has been their HT amplifier range. These affordable, tube-driven tone powerhouses have been incredibly popular with bedroom players and touring musicians alike, acclaimed for their versatility, ease-of-use and robust build-quality. 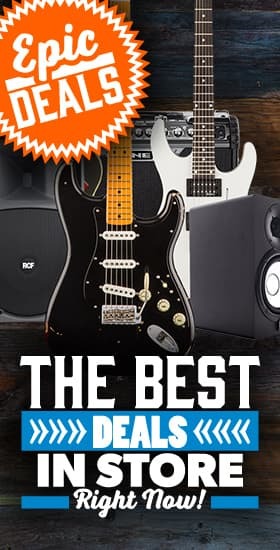 The HT series defines that “plug in and play” mentality that all of us guitarists seek.These workhorse amps offer a variety of useful features, including footswitchable boost, professional recording outputs, multiple voices/modes, built-in reverb and of course Blackstar's trademark ISF (infinate shape feature) for maximum tonal flexibility. If you've got any questions about our Blackstar HT range, please don't hesitate to get in touch - in the meantime, check out the selection below! Save 30% on Blackstar footswitch with this amp!